As it turns out, things went better than I hoped. Both mold and resin cast were easy. And not a single bubble. Not bad considering that not only was it done without a pressure pot, but I also forgot to include a vent and had to poke the resin down into the head a bit! But I had planned on this being a learning experience, after all. 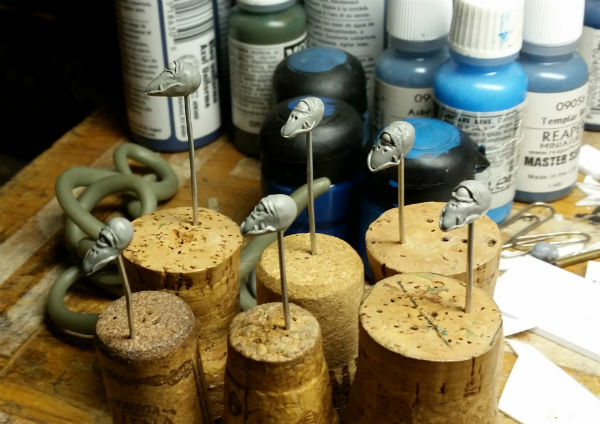 Now on to a few more molds, more sculpting... and maybe I can eventually start cranking out bits for converting a swampload of Orcs-to-Fomorians! 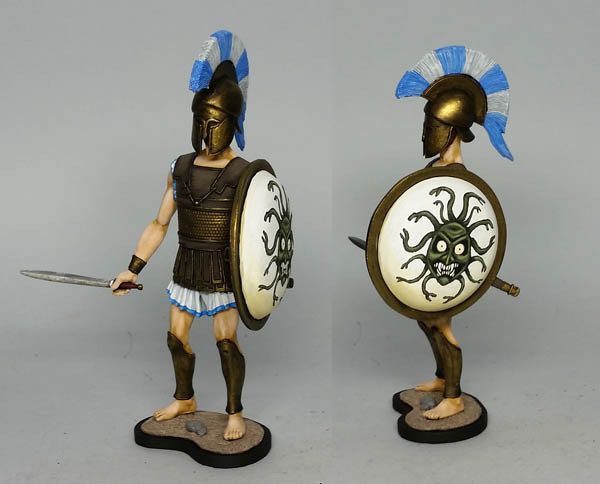 I've recently finished a 120mm Greek hoplite for a friend. Just like my adventures in mold-making, this kit put me up against a pile of problems (including getting a decent photo.) But I'm finally done and hope to deliver it sometime soon. I haven't seen my old gaming friends in a very long time. I've thrown my hat (or paintbrush) in with the Oldhammer Forum's chaos village project. 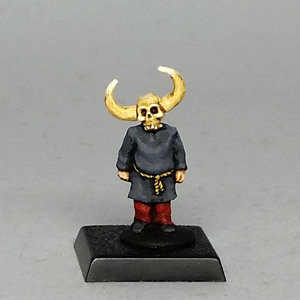 I'm going to submit a converted two figure set, and have finished the first, Oswald, one of the the village children "orphaned" when his parents became chaos spawn. Next on my table... more experiments with sculpting, mold making, and casting. The other half of the Oldhammer pair, some dwarf light artillery for the Marienburgers, some commissioned beastmen and fantasy medieval type humans, work on an overdue vinyl toy commission, and there's still a pile of undead waiting. I'm also starting (or trying) to really pull together ideas for solo & remote gaming. Could there be an actual game in the near future? !